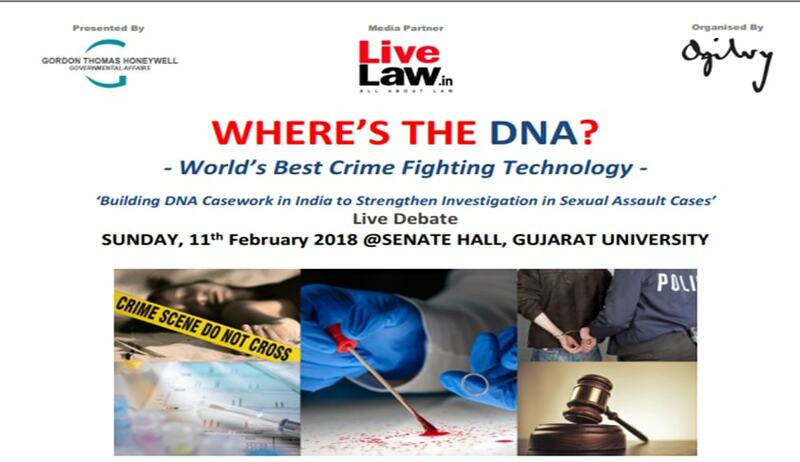 Gordon Thomas Honeywell and Oglivy are organising a Live Debate ‘Where’s the DNA’, on the theme Building DNA Casework in India to Strengthen Investigation in Sexual Assault Cases. The debate would be moderated by Dr. HM Pathak, Head, Forensic Medicine Department, KEM Hospital, Mumbai. LiveLaw is the Media Partner for the event.